Even if you are a casual cannabis consumer you have probably heard about dab rigs or dabbing. Cannabis concentrates have been dominating the space over the last couple of years and show zero sign of slowing down anytime soon. In fact, according to BDS Analytics, cannabis concentrates will be worth around $8 billion by the year 2022. As rolling papers, pipes, and bongs are to traditional flower smokers, glass rigs, nails, blowtorches, and dab tools are to dabbing hard concentrates. But as we’ll see, the often intimidating dab rigs are slowly finding a competitor with concentrate vapes emerging on the scene allowing a wider range of users to experience and try our concentrates without the investment of a big rig set up. The traditional “Dab Rigs” contains a few different components. This method of consumption has been around for years and people are continuing to find new innovative ways to improve their setup. The normal dab rigs usually contain A water pipe, Nail, Dome (or bowl), Blowtorch, and a dab tool. The sequence is fairly straightforward. Start the blowtorch and heat the dome until your desired temperature. Finding that ideal temperature is difficult unless you have an electronic reader. Take your dab tool and scoop the desired amount of concentrate (shatter, wax, terp sauce, etc) and place into the now heated bowl. Most users then place a cap over the bowl to allow a voluminous cloud. 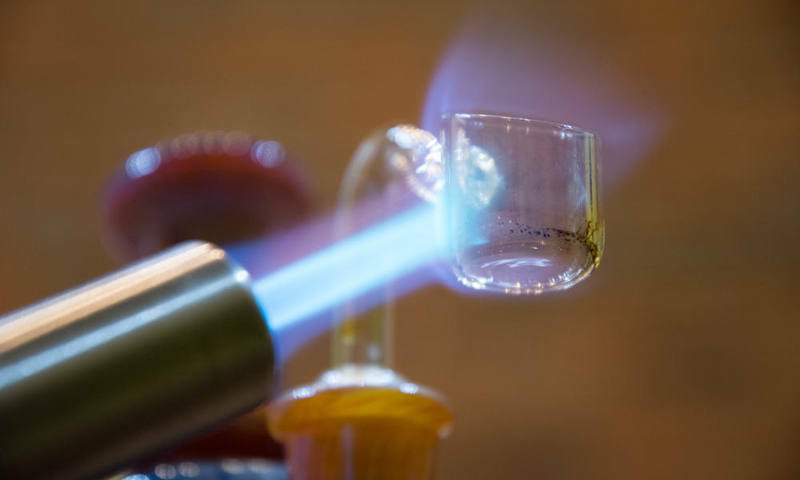 Most large dab rigs and concentrate connoisseurs prefer quartz bowls because of their ability to retain heat. This is a necessity when using an open flame to manually heat your dome. Users don’t want to have to continually heat up the bowl. The ability to retain heat is positive about quartz, however, the downfall is the temperature control. As cannabis concentrates become more mainstream, consumers are looking for a bigger and better experience. Which leads us into the age of ceramic and the concentrate dab vapes. There is often much debate on the best way to smoke shatter and other concentrates. A new trend is emerging, however, and that is through cannabis concentrate vaporizers or dab vapes. These, often portable, vaporizers allow users to take their dab rigs anywhere and eliminate all of the messy set-ups. 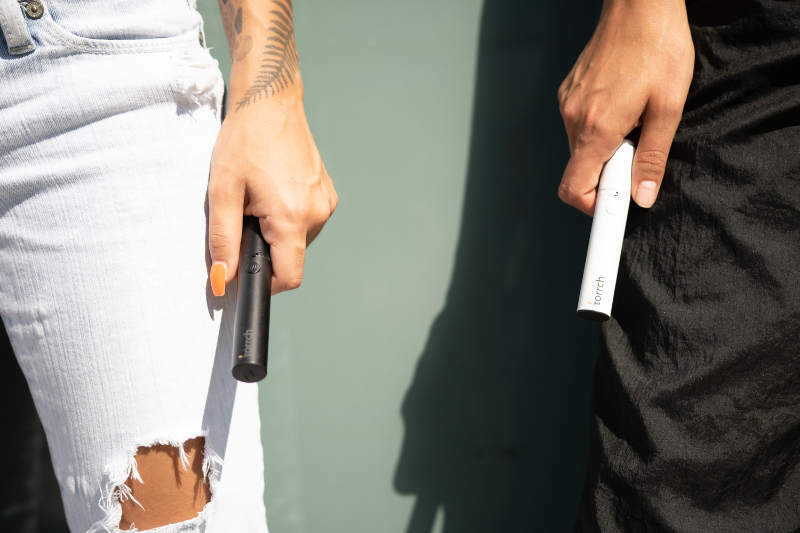 The emergence of ceramic heating elements in all cannabis formulated vaporizers has been a huge trend that has changed the vaping game over the last few years. Now consumers are recognizing that ceramic delivers a more robust flavor and is generally easier to work with. Although ceramic has a lower heat retention than its quartz counterpart, temperature control is much more precise. There has been a lot of research around combustion of cannabinoid and terpene profiles which shows slower, lower heat temperatures allow for a full, more robust flavor. This is why a lot of users and companies are trending in the direction of portable ceramic based heating elements inside vaporizers. The list of “best dab rigs” is one that can be debated back and forth. This really can all come down to personal preference. 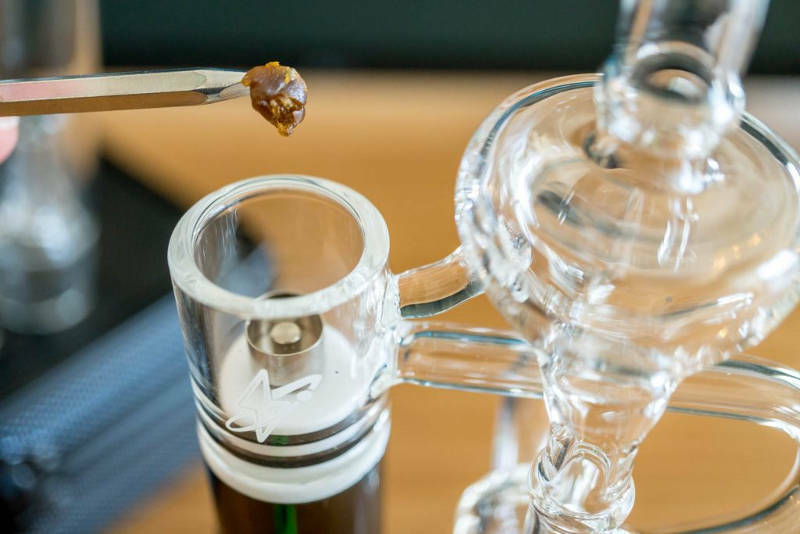 Attributes like portability vs. home desktop rigs, quartz vs. ceramic, temperature control, and even type of cannabis concentrate can all lead to determining what dab rig best fits your style. Dab rigs like the Torrch premium portable vape pen are amongst those leading the charge for full flavor expressions via ceramic embedded heating plates and low-temperature dabs. While more traditional glass setups are still selling like crazy across the concentrates community. We recommend doing some research into what might fit your lifestyle and the materials used before making a final decision.